The only thing that seems to remain the same at Mahjong Time is that we are constantly changing in order to ensure that our members can experience the optimum gaming experience. If you’ve been with us for six months or more, then you’ve seen quite a few remarkable upgrades. Here are some of the highlights of our latest software enhancements. The table and tiles have a totally new look and the play screen has been changed radically. Here’s what you’ll see. The tiles are three-dimensional. We’ve used ground-breaking technology to draw 3-D objects in the Flash. It looks great! In the exposed sets, one tile is rotated 90 degrees (to a horizontal position) to reveal which player made the discard. Player’s discards are shown clearly on the table in front of the user. The “picking seats,” “breaking the wall,” and “shuffling the tiles” procedures are illustrated from the beginning to the end in full 3-D animation. There are new mahjong rule sets that will help enhance your world rankings. There’s a new World Series of Mahjong rule set, allowing you to play for ratings. You can also compete for rating points through the European Classical version. Our new voice message feature is designed to make your gaming experience more pleasurable. You can still type your messages or you can choose to send a prerecorded voice message to the other players. Simply click on the smiling face to the right or your screen and select the message you want the other players to hear. The Belt Systems for the Japanese Modern and American Modern styles of mahjong have changed. In Japanese Modern Mahjong, the level of belts will be higher. Those who have been playing in the original system will not lose their present ratings. But all players will need to earn more rating points in order to obtain a higher belt. In American Modern Mahjong, the level of the belts will be lower. Those who have been engaged in the original version will receive higher belts automatically as soon as the update occurs. Enhanced way to find players. You can locate players by user name or country. Go to the Online Players area and click on the “Find Players” tab. The “Find Players” window will appear. Enter either the full user name or part of it, such as players with the name “fox.” Or, you may select a country to locate players in a specific locale. You may do a combined search of player name and country. Simply go to the “My Account” option. The game will be in your selected language the next time you log in. Improvements in the scoring system. We’ve instituted CO scoring improvements and bug fixes. Mahjong penalties have been corrected. Now the player is charged 30 points (10 points to each player) if he declares MJ without having enough points for Mahjong and 60 points (20 to each) if his hand can not be recognized as a complete hand. 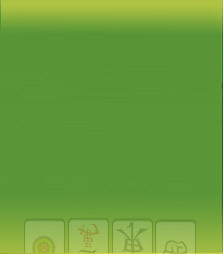 You now have the opportunity to keep Flower/Season tiles in your hand in Chinese Official Mahjong. Flower/Season tiles are not automatically replaced and the user has opportunity to meld and replace them or to discard the tiles when needed. This allows players to build better strategy in the game. There have been Japanese Mahjong improvements and bug fixes. The “furiten” rule is now available. See details in Japanese Mahjong rules for clarification. New practice modes are available! You can now practice Japanese Modern and American Modern styles of mahjong. Play practice games versus MahjongTime.com robots. Each style of mahjong has five levels of difficulty. Learn the intricacies of each game before competing for cash. There’s a new demo presentation. We feature an innovative design. More clarity for the neophyte looking to play and compete. We now feature branded tables. The table and the game tiles show the logo of the federation of which the player is a member. Thus, a player from the French Mahjong Federation will have the FMJF symbol at the center of the table. Enjoy sharing the identity of your group while individualizing yourself as a player from that group. We sincerely hope that you enjoy all of these improvements, and we look forward to your continued patronage and input as we strive to make sure that MahjongTime.com continues to be the online leader in the global mahjong community. Please feel free to test out all these awesome new features and share your thoughts by posting a blog! Let us know what else you want to see at MahjongTime.com.